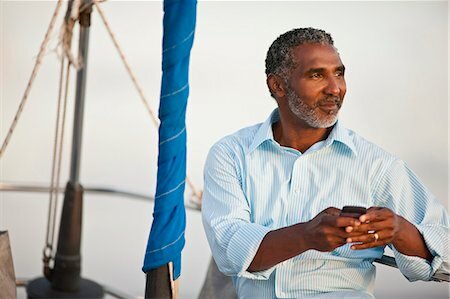 Mature man looking out at view of water from boat, holding cell phone. 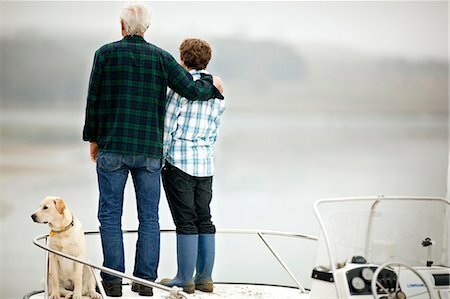 Man and his grandson standing on the deck of a boat and looking at the view. 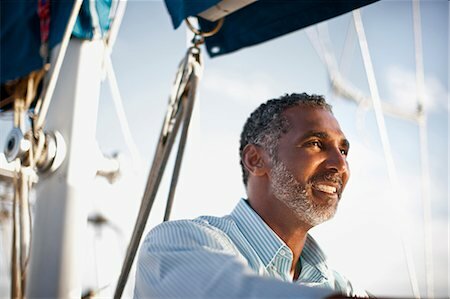 Mature man looking at view from boat. 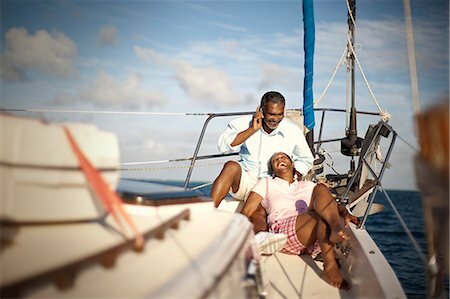 Mature couple relaxing together on boat deck in the sunshine. Portrait of mature woman happily sitting on log with coffee.